Hi guys! Did you have a GREAT weekend? We sure did, but I’m whipped. We always try to pack in waaaaaaaay too much activity in such a short time. Plus I spent Monday afternoon trying to finish buying the rest of the school supplies. DON’T ever try to do that! You will have to go to 4-5 stores and still not find it all. Normally, I’m on the ball and have everything bought in July. From now on that will be how it’s done. I said I’d share the wreath that I made with you. 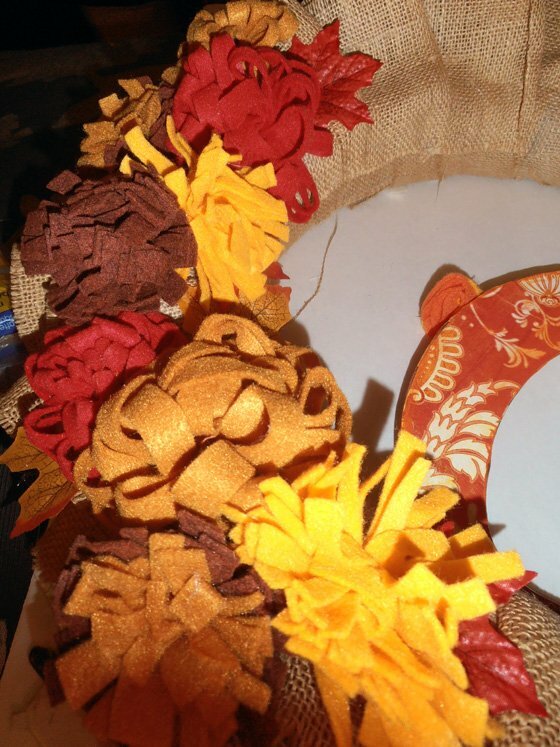 I took ideas from several of the wreaths and made it my own. 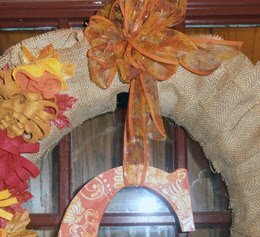 Here is the finished wreath. 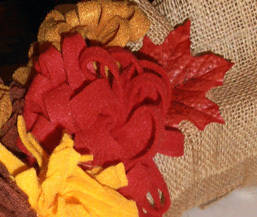 Cut your burlap in 3 in. strips. 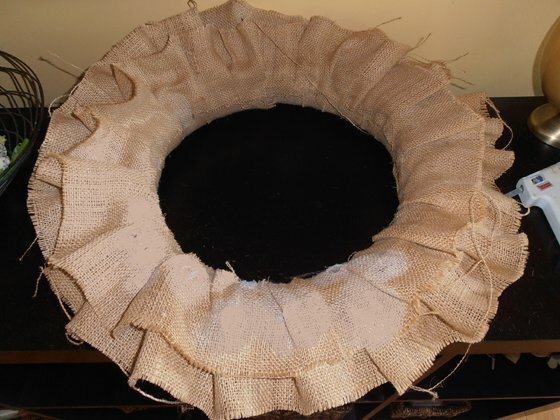 Wrap the burlap around the around the wreath. Hot glue the ends. Take another couple strips of burlap and gather it to make a ruffle. I did this manually with hot glue. Jones Design has a detailed tutorial. 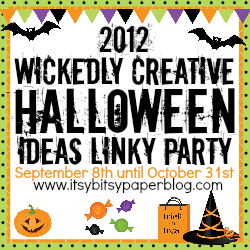 I actually recycled a wreath I had made earlier and used this tutorial. 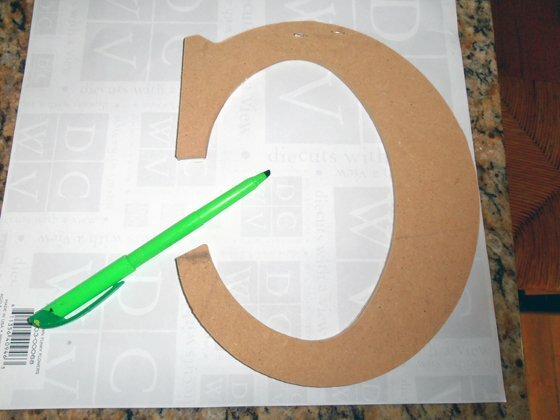 Next I took my letter “C” and traced it on my scrapbooking paper and then modg podged it on. 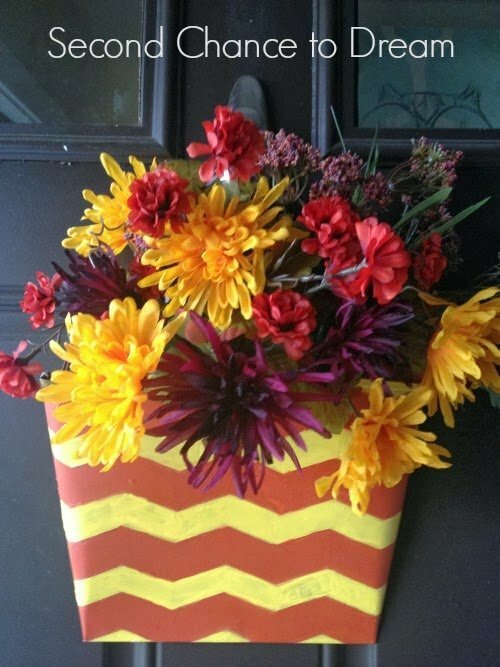 Once I had all my flowers made. I laid them out on my wreath to decide on my pattern. I hot glued everything down tucking in fabric leaves around the flowers. 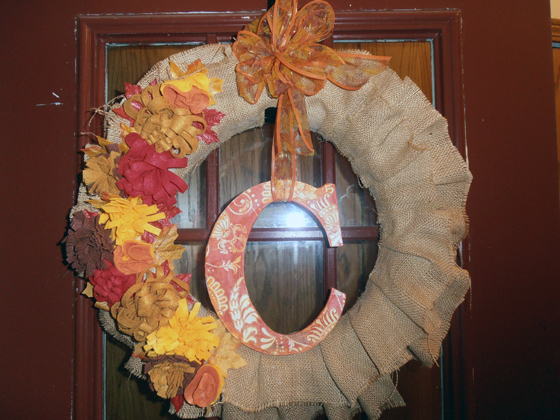 I cut a piece of ribbon to hang the wreath and the letter “C” and then made a bow that I attached. I have a new Fall Wreath to brighten my fall season. 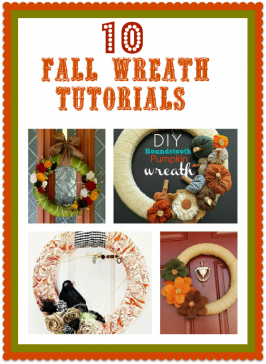 Have you or do you plan on putting up a fall wreath? 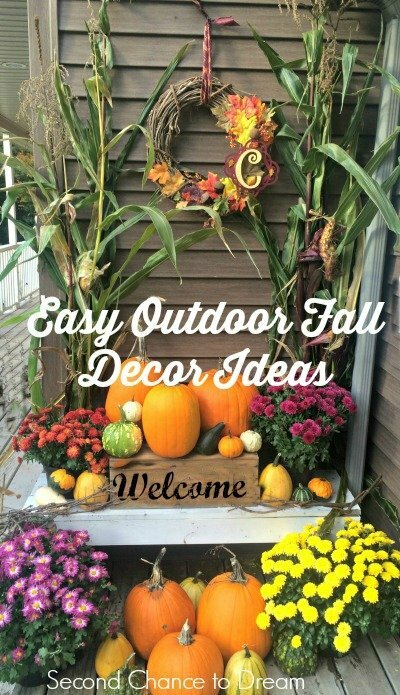 If you need some more fall wreath ideas check out my round up of wreath ideas HERE. 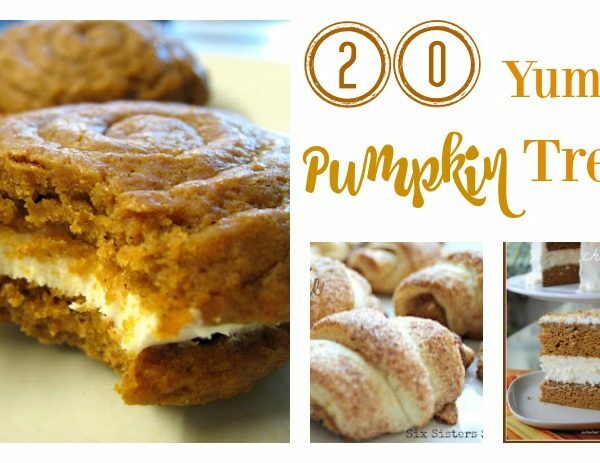 20 Yummy Pumpkin Treats to Try!